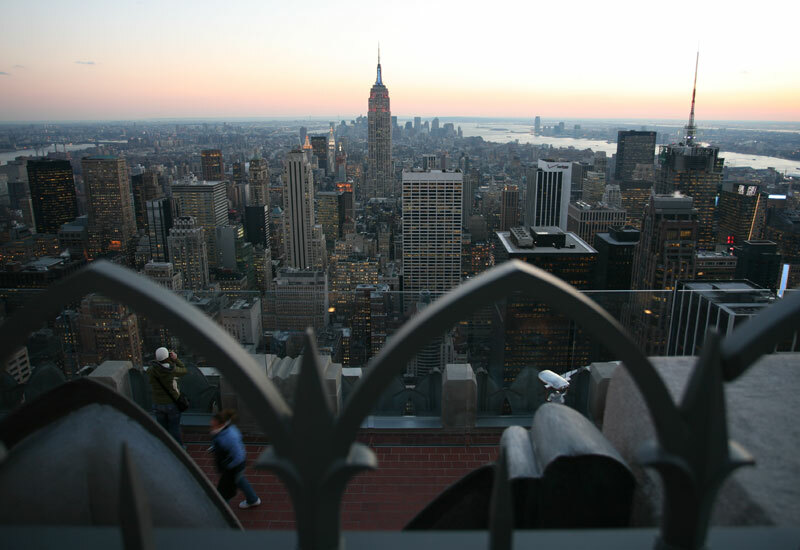 The view from Top of the Rock observation deck in Rockefeller Center, New York. New York City Hotels in the Times Square Area: Hilton Times Square, Milford Plaza Hotel, Marriott Marquis Hotel, Hotel Edison, Paramount Hotel, W Hotel, Belvedere Hotel, Crowne Plaza Hotel, New Yorker Hotel, and others. Panoramic views and closeup pictures of Midtown skyscrapers such as World Wide Plaza, The Conde Nast building, as well as Downtown: The Continental Center, The Seaport Plaza, The 1 Financial Square.